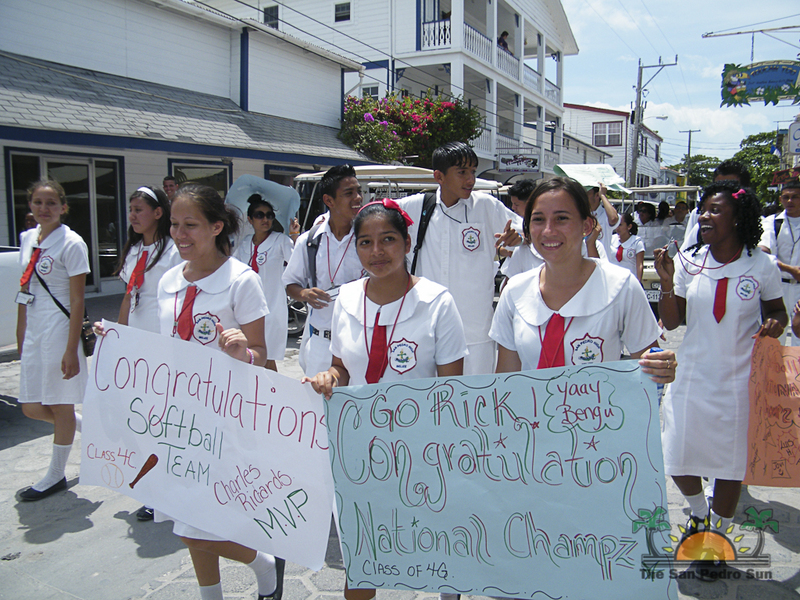 The San Pedro High School (SPHS) male softball team on Saturday March 17th, were named, 2012's National High School Softball Competition champions. 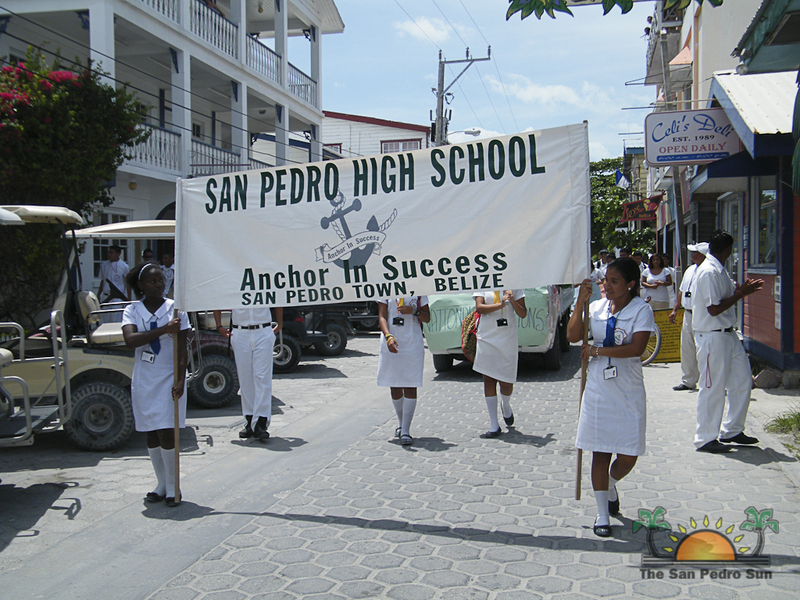 It's a historic win for the SPHS, who for the first time ever, have won a national championship in any sporting discipline. The team won its qualifying game on Friday March 16th, which allotted them a spot in the championship game the following day. 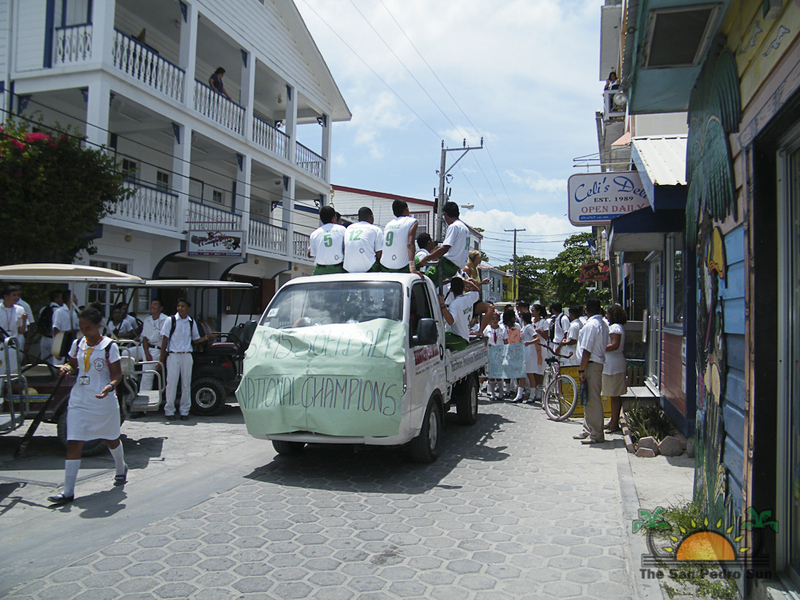 On Saturday afternoon, the boys managed to win and bring the coveted title to the island. 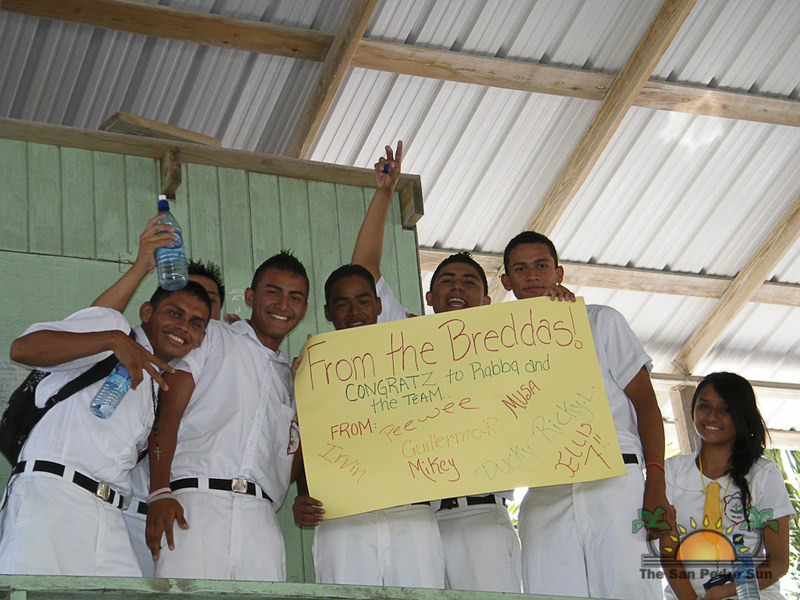 The SPHS Male Softball Team represented the north of the country having won the Northern Regional competition earlier this year. According to the Coach of the team Marion Mejia, when the team arrived at the May Garden Field in Belmopan, all eyes were fixed on the trophy. 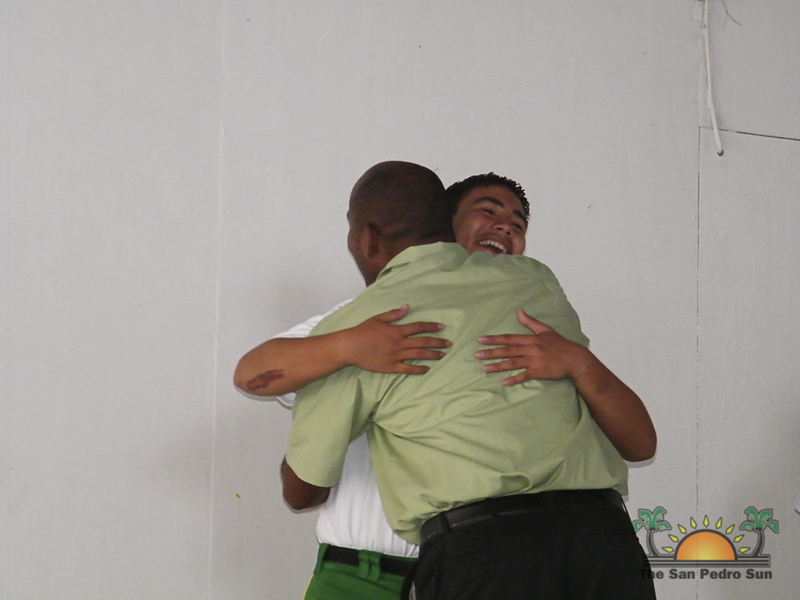 "Our team went up first against the Western Regional Champions – The Belmopan Baptist High School; and that was a blow out game," said Mejia. The blow out game ended in a score of 13 to 1 runs with the star pitcher being Charles Richards from the SPHS. In recollecting the championship game Mejia bragged, "In the finals, we faced St. Johns College who had previously won against Independence High School. The final game was a real competitive game and was a back-and-forth but in the end SPHS team managed to pull a walk-off win." According to Mejia, one of the key performances in the championship game was that of Alex Roache, who batted a home run sending three team members home and closing the gap for the SPHS team. 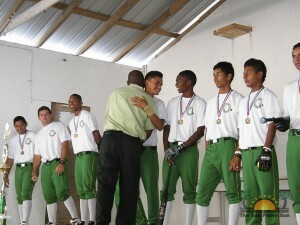 Following Roaches’ spectacular performance in the game, Charles Richard batted in Luis Pinelo for the winning run to end the game in a walk-off victory. In the end the team won by a score of 10 to 9 runs, in a game that was played close to the very end. 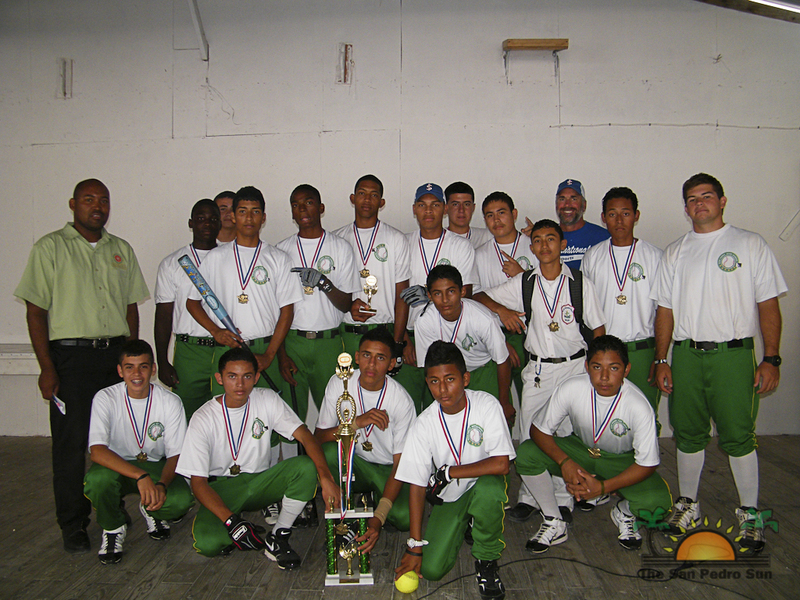 Mejia has been the coach of the SPHS Male Softball Team for five years. 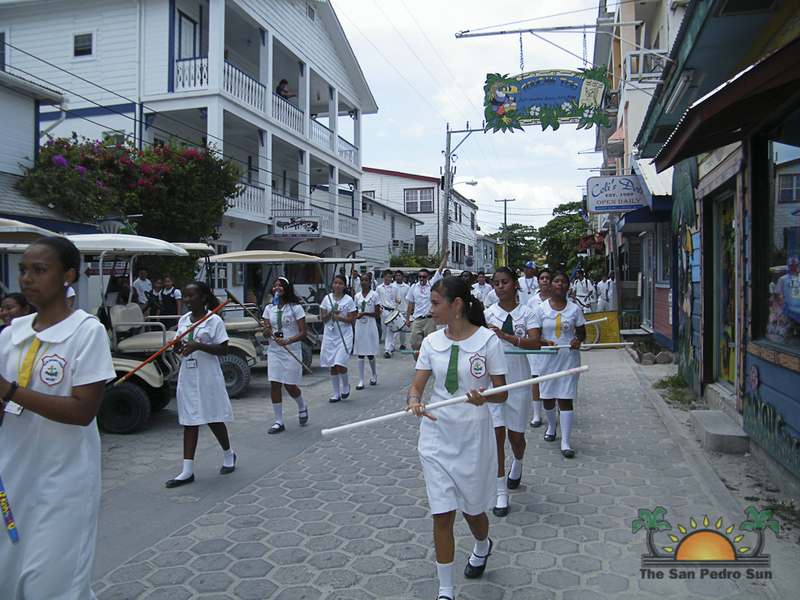 In 2011, the team came close to qualifying for the championship, placing fourth at the national level. According to Mejia, the team prepared themselves for the past six months gearing up for the nationals. 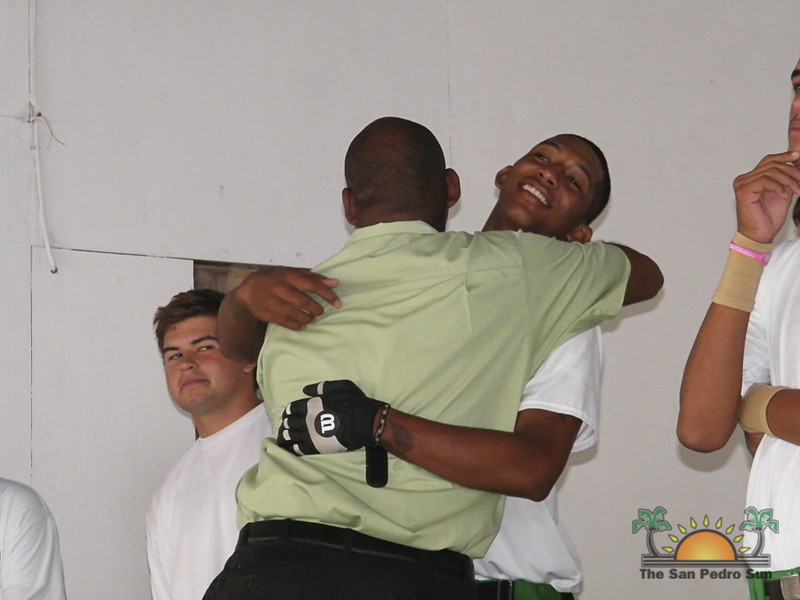 An emotional Mejia told the team at a special school assembly that, "you made my dream come through and you guys made me the proudest person.” He added that “Every time I did the roster, I found it difficult because it was like being between a rock and a high place. 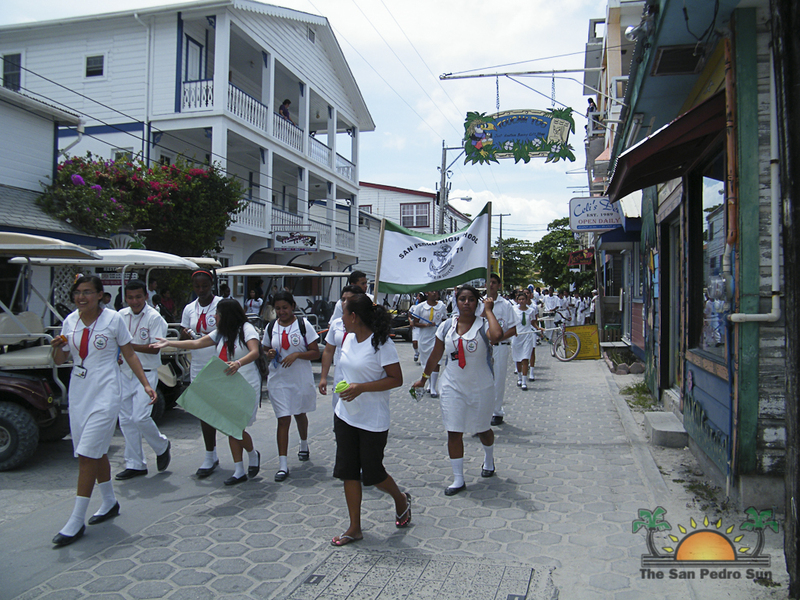 All of you (team members) have risen to the occasion when there is a need to do so." 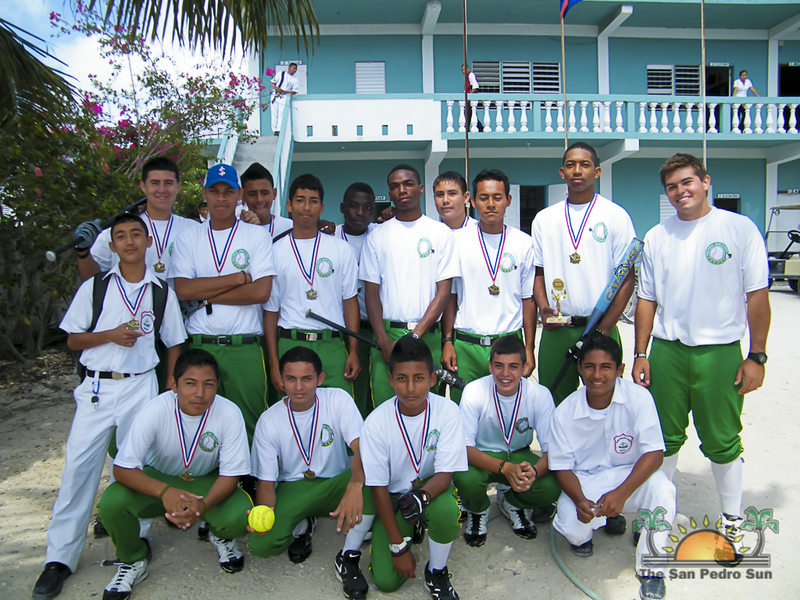 Unlike other sporting disciplines where the high school champions represent the country in the Central American Council for Sports and Recreation (CODICADER) games, there is no such competition for male softball in the region. At the CODICADER level, the only similar sport in the male category is baseball. 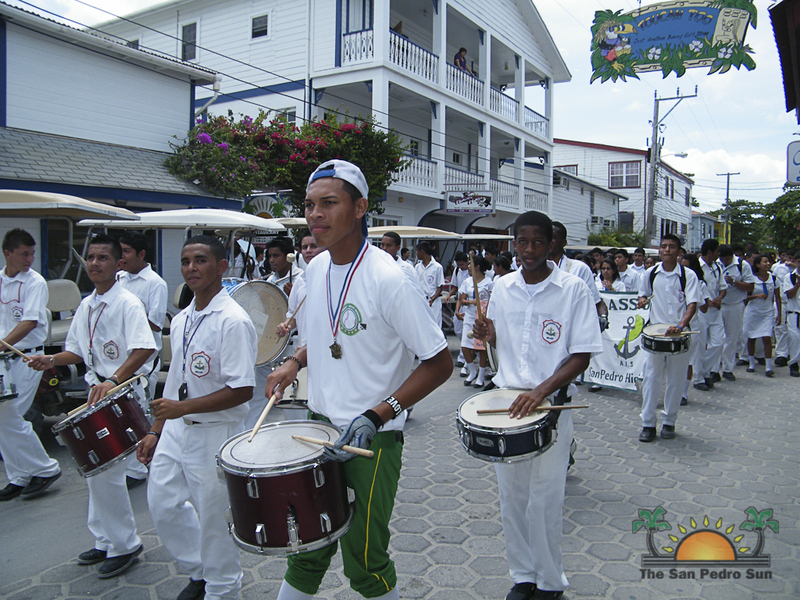 "We are trying to see if this team (SPHS Male Team) can start practicing for baseball and see if we get them to represent Belize at the CODICADER games in September of this year," explained Mejia. The team consists of Captain Charles Richard, Chris Nunez, Jovi Ico, Cole Ray, Hugo Espino, Julius Gomez, Mariano Guerrero, Khader Torres, Eduardo Diaz, Esdras Ramirez, Rick Benguche, Jamel Jones, Luis Herrera, Konrad Gonzalez, Brandon Munguia, Luis Pinelo and Alex Roache. Coaches and support personnel include Marion Mejia, Brandon Bood, Derrick Jones, Jaisen Carlson and David and Jo Nisbet. 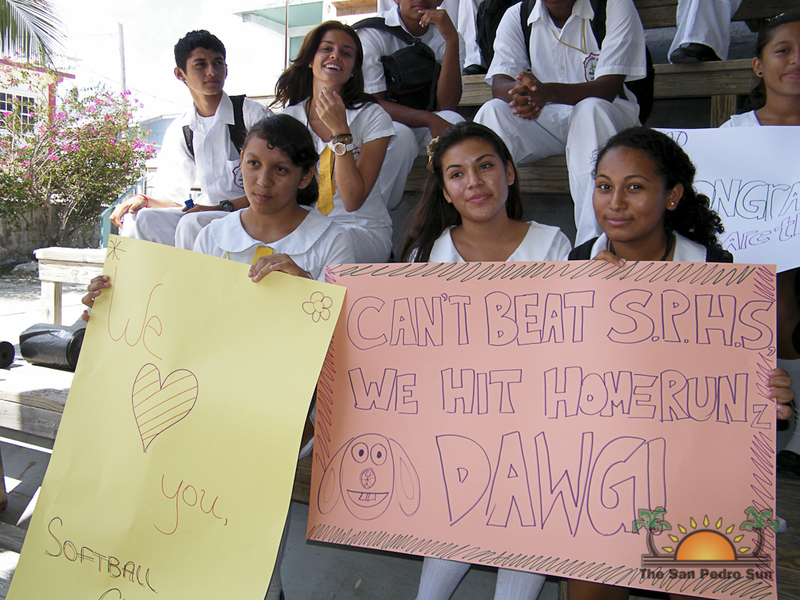 In honoring the SPHS Male Softball team, the school held a special assembly where each team members were acknowledged for their outstanding efforts. 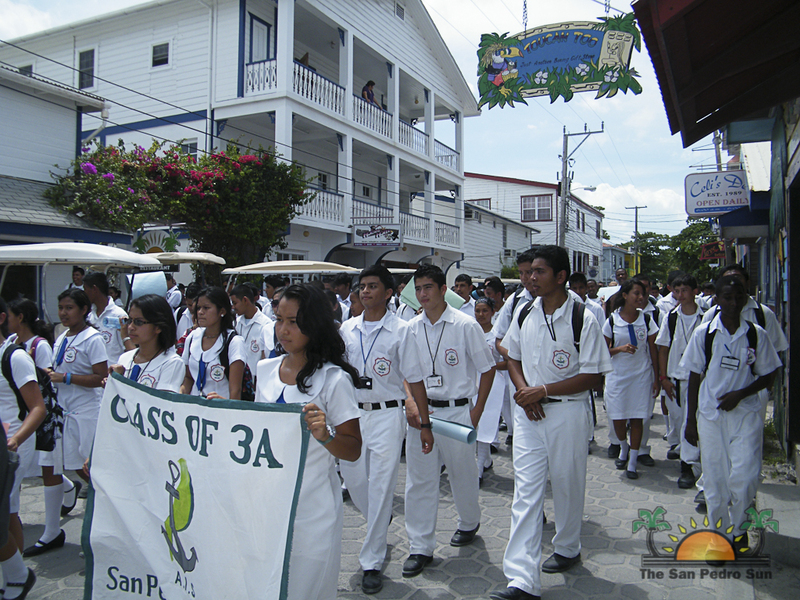 Following the assembly, the team led a school parade through the principal streets of San Pedro Town. 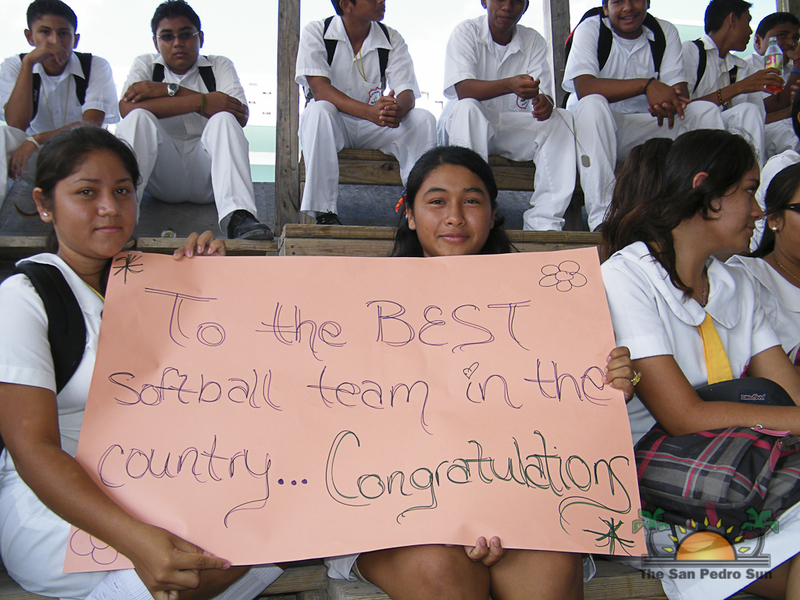 The San Pedro Sun joins the entire island in congratulating the SPHS Male Softball Team for making Ambergris Caye proud and making history.